Every year Lego gives us a huge multi-thousand piece Star Wars model, like the 5,195-brick Millennium Falcon or the 3,800-brick Death Star. 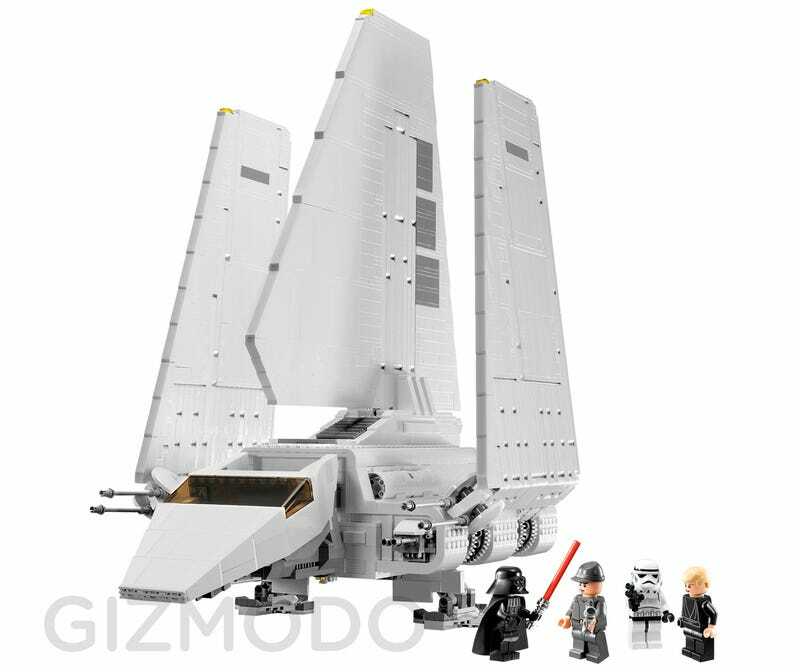 Now it's the turn for an all-time favorite of mine: The 2,504-piece Lambda-Class Imperial Shuttle. When I was a kid playing with Lego bricks, I built an Imperial Shuttle myself using pieces from our Lego Space sets. It was rather cool. Not only did it look like the real thing, but the wings also moved, like the real thing. It didn't look as perfect, but I still remember it like one of my most fabulous constructions. This beast is bigger than my old model, at 28 inches tall (71 centimeters) and 22 inches wide (57 centimeters) when the foldable wings are fully deployed. The cockpit allows you to sit figures inside, and it includes five minifigs:Darth Vader, Shuttle Pilot, Imperial Officer, Stormtrooper and Luke Skywalker from Return of the Jedi. Click to viewThe Imperial Shuttle also has rotating double laser wing cannons, landing gear, and a display stand. All this technological terror could be yours for $260, starting in September 2010.